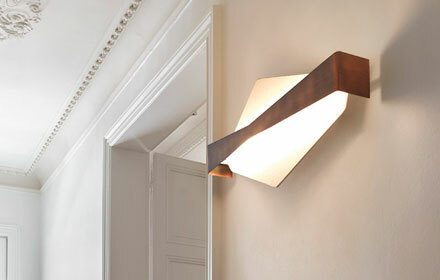 Choosing just the right lighting fixture for an interior decoration project can often prove to be a great challenge. This sector is rapidly evolving and BROSSIER SADERNE therefore wishes to provide you with the most suitable solutions for current applications. 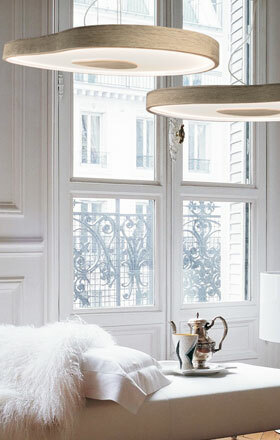 A lighting fixture is above all a key element of design and decoration. It enhances the ambiance, captures the eye, complements each and every space and piece of furniture in order to emphasize it. As you are well aware, a well-executed design increases the strength of a project as a result of distinctive, unusual and outstanding products. Design has been somewhat democratized in recent years meaning that we have had to double up our efforts and delve deeper into our imagination to ensure that each project succeeds in standing out from the crowd. We believe it is important to guide you in your architectural projects, thanks to our in depth knowledge of the different aspects of interior decoration, the integration of original designs and our expertise in lighting techniques. Bastien Chapelle opened his own studio in 2017. His time is now spent between Paris and La Rochelle where his services are enlisted by local and dynamic businesses. With his passion for industrial processes, Bastien strives to combine the savoir-faire of his clients with his own minimalist style in order to create day-to-day objects and pieces of furniture. Didier Knoll, an Architect from the Ecole Supérieure des Beaux-Arts de Paris, designs and implements hotel, tertiary and residential projects by combining the worlds of choreography and poetry. Céline TUZZOLINO is a graduate from the Ecole Nationale Supérieure d’Architecture de Nantes. This Architect, Designer, Stage Designer and Interior Architect finds her balance in a multidisciplinary approach with no boundaries or limits. "Frédéric Saulou was born in 1989 and lives and works in Rennes, Brittany. Having graduated with a degree in spatial and environmental design from the Institut Supérieur des Arts Appliqués (LISAA) in 2011 as well as a degree from the Ecole Européenne Supérieure des Beaux Arts de Rennes (EESAB) in 2013, Frédéric continues to develop his experience with the Eric Gizard Associés agency and by working alongside designer Frédéric Ruyant. CHATEAU DE FONSCOLOMBE, A NEW PROVENCAL ART DE VIVRE! After eighteen months of renovation and restructuring works, Château de Fonscolombe is embarking upon a new chapter in its long history that dates back three centuries. 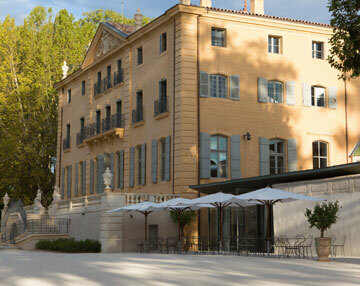 This bastide, which is classified as a historical monument has transformed itself into a 5 star hotel complete with 50 rooms and suites combining the elegance of the 18th century with a decidedly contemporary feel. Meet us at the Maison&Objet trade show in Paris! 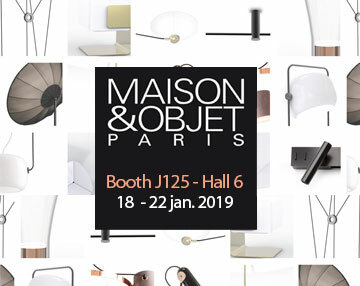 MAISON&OBJET opens its door this month in Paris, and the Brossier Saderne Lab team is delighted to unveil the latest lighting fixtures from INVENTIVE... Find us at Hall 6, booth J125 from January 18 to 22, Parc des Expositions, Paris Nord Villepinte. This ethereal and graphic ceiling light promises a strong visual impact. 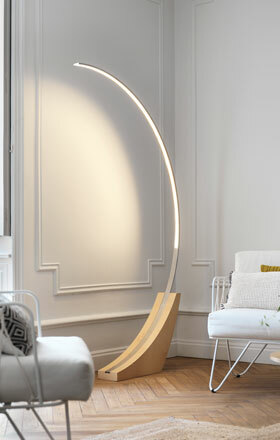 It is composed of curved and angular lines encasing bright and delicate beams of light fitted with a new, revolutionary tubular LED source. 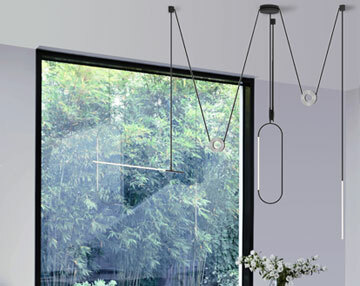 Its elegant black fabric wires create clear geometric lines in the air. 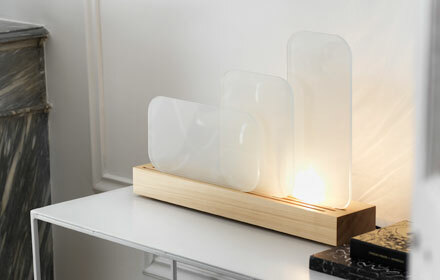 Discover architectural lighting INVENTIVE Brossier Saderne Lab.